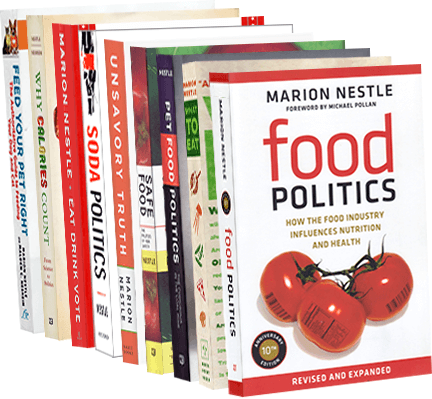 Food Politics by Marion Nestle » Salmonella in Honey Smacks cereal? Salmonella in Honey Smacks cereal? I guess I shouldn’t be surprised. The latest source of Salmonella is a kids’ cereal, Kellogg’s Honey Smacks. They may be a good source of vitamin D, but watch out! This is no joke. The CDC reports the damage: 73 cases in 31 states, with 24 hospitalizations. The CDC says you should not eat this cereal. Period. You should especially not eat this if its used-by date ranges from June 14, 2018 to June 14, 2019. Kellogg has recalled packages with this used-by date. I took this photo on June 16 at Wegmans in Ithaca. I was surprised to see them on the shelf, but their use-by date was May 19, 2019 so Wegmans must think they are OK. Even if I habitually bought sugary kids cereals, I’d pick another one until this outbreak is over and gets an all-clear signal. Recent Salmonella outbreaks have involved pre-cut melon, eggs, dried coconut, pre-made salads, and sprouts. Food safety lawyer Bill Marler says don’t eat them either. Outbreaks caused by contamination of commercial boxed products are rare. Bacteria don’t grow well in dried foods. The CDC doesn’t discuss how the Salmonella got into the package. Could honey be the source? Honey is not sterile, but bacteria don’t grow in it very well (not enough water). This reminds me of the situation with dry pet foods and treats. Canned pet foods have been cooked and are sterile until they are opened. Dry foods are not sterile. Although the extrusion process heats them enough to kill bacteria, flavors and other additives are sprayed on before they are packaged. Contamination with Salmonella and other pathogens is a constant problem (Mal Nesheim and I discuss this in our book about the pet food industry, Feed Your Pet Right). I will be interested to see if Kellogg can find the source of the contamination.